Take some inspo from the eighties this weekend with this crop top. 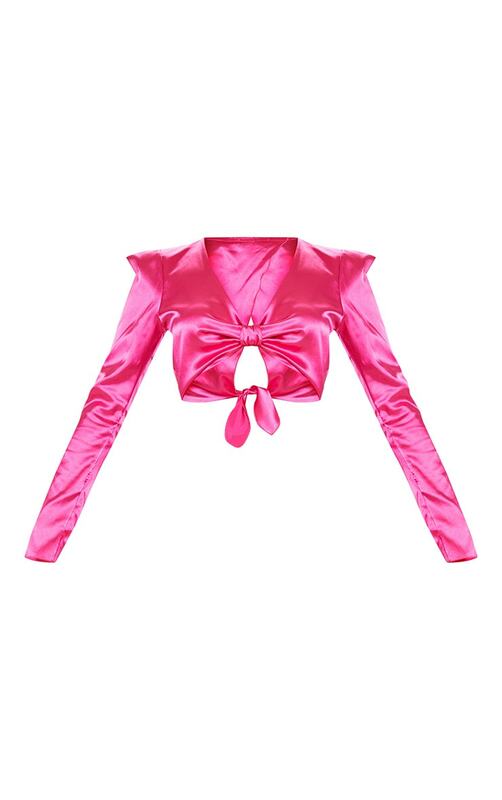 Featuring a hot pink satin material, long sleeves with extreme shoulder pads and a twist detail on the front. Team it with the matching skirt, lace-up heels and a sleek hairdo for a look we're loving.